Cornell University, University of Pennsylvania and Brown University are some of the top universities that have accepted INTI students for studies in the United States. Cornell, Pennsylvania and Brown are Ivy League institutions renowned for academic excellence, selectivity in admissions, and social elitism. Viewed as some of the most prestigious and ranked amongst the best universities in the United States and worldwide, all eight Ivy League institutions are placed within the top 15 of the U.S. News & World Report college and university rankings. To provide a competitive advantage to students of INTI International College Penang’s American Degree Transfer Program (AUP) wishing to pursue studies at these institutions, a workshop was conducted by the Head of Center for American Education, Wong Teik Aun, to prep the students. 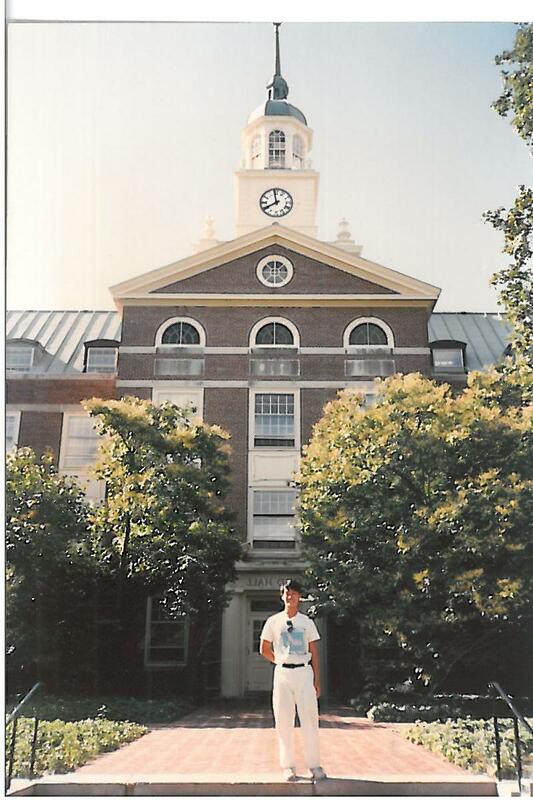 Wong at Princeton University, one of the eight Ivy League institutions he prepares students for admission. Participants were briefed on the universities in the Ivy League, the American liberal arts philosophy and what these top universities look for in an applicant. “It gives me great pleasure to see my students achieve their dreams and become successful individuals through the American education system. INTI’s extensive list of colleges and universities in the US for credit transfer and its track record of sending the most number of students to America for higher education mean that our American Degree Transfer Program is the most popular of its kind in Malaysia. More than 300 US and Canadian universities accept credits earned through INTI’s AUP,” said Wong. INTI’s AUP allows students to complete their first two years in Malaysia, enabling them to save tremendously on the cost of studying for a 4-year American degree. They can also opt to transfer to the US at any point or to complete up to two years of their studies in Malaysia, depending on their major and subject to evaluation and acceptance by the universities. Given INTI’s strong and long standing ties with US universities, coupled with its alumni’s impressive record of achievements both on and off campus, many universities have accorded exclusive scholarships to INTI students. Academics from US universities also visit INTI to present talks and share their knowledge and experiences with students. Internationalism is an important pillar that holds up institutions of the Laureate network and the opportunity for members such as INTI to gain access to knowledge, thought processes, best practices, academic talent and resources across the distances makes this ‘Laureate advantage’ a unique one. President William J. Clinton serves as The Honorary Chancellor of the Laureate network, a role in which he offers advice on social responsibility, youth leadership and increasing access to higher education. In his 2010 visit to INTI, he addressed more than 1,000 students and invited guests and inspired many others. Students of INTI benefit not only from the over 25 years of experience and strong track record that INTI offers, but also gain from the global synergy and resources that Laureate International Universities provides. Laureate is the world’s largest private education network with a presence in 29 countries, with more than 60 accredited campus-based and online universities and 130 campuses, serving over 740,000 students globally. For further information on INTI’s AUP, please 04-6310138.